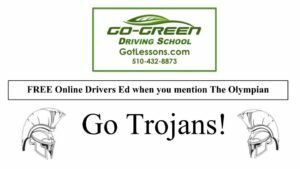 In a sport named for enthusiasm and pep, the Trojans’ competition cheer teams in fact have much to cheer about. Both the JV and varsity teams took first place in their respective categories at the United Spirit Association (USA) Regional Competition at Deer Valley High School in Antioch on Jan. 12. “The competition teams have come upon several hurdles this year, but through their hard work, dedication, and perseverance, they were able to overcome the obstacles and finish the regional season undefeated,” said coach Erin Hagerty, alluding to injuries that kept some team members from competition. The JV squad competed in the Junior Varsity Show Cheer Non-Tumbling division and took first place, earning 90.7 out of a possible 100 points, while the varsity team competed in Coed Varsity Show Cheer Non-Tumbling and received a 94.2 out of 100 points. Lexi Kwon, senior and varsity co-captain, was pleased with how her team pulled together. “Although we had a lot of last-minute changes and an injury, we were able to at our highest score in competition yet. The team did such a great job at persevering and pushing past all of the barriers in our way,” she said. Kwon also noted how this last win got the teams excited about competing in the USA Spirit Nationals competition in February in Anaheim. According to Hagerty, some comments were more constructive. “We are using those notes to improve our routines further in anticipation of the upcoming nationals competition next month in Anaheim. 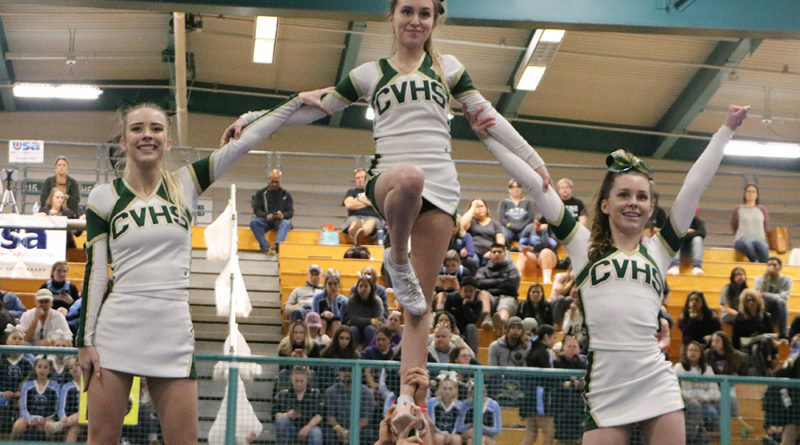 The competition teams at Castro Valley are working harder than ever and are excited to represent their school and community on the national stage and we hope to bring home a national win to CVHS,” she said.